A multicolored string of lines spreading in different directions fills a computer screen. It resembles a child’s drawing. But this picture is actually a diffusion-tensor image of the brain. Gabe Conley spent fall 2016 and spring 2017 studying these intricate im­ages of the brain as part of a research project in the University of Idaho’s new Integrated Research and Innovation Center. Conley, a 19-year-old freshman from Moscow, is double majoring in biological engineering and electrical engineering in the U of I College of Engineering. His work was a small piece of a larger project involving the cerebrospinal fluid system, led by assistant professor Bryn Martin. Conley worked along­side Lucas Sass, a first-year doctoral student in biological engineering. Cerebrospinal fluid is liquid that circulates between the spine and the ventricles, which act as communicating nooks within the brain. The researchers hope to better understand the system, and how cerebrospinal fluid dynamics could be used to diagnose and treat neurological disorders. To do this, Sass designed the original idea for a pump that is used to simulate cerebrospinal fluid. The pump connects to a 3-D printed spine and brain. Conley’s part of the research focused on the cere­brospinal fluid inside the brain. He used MRI images that are stored in Digital Imaging and Communications in Medicine files. These files have hundreds of images of different slices of an object — in this case, the cerebrospinal fluid in the brain. From these images, Conley created a virtual model. 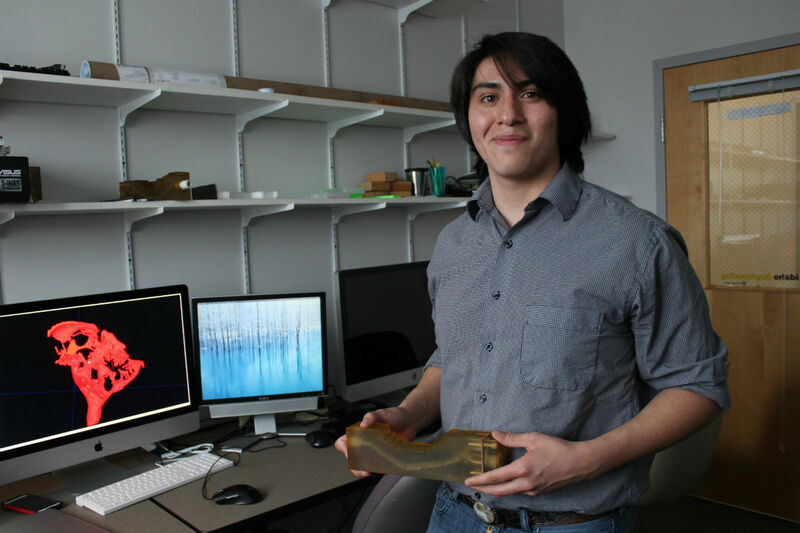 The final step was bringing it to life by 3-D print­ing the image. The combination of studying the body and working with computer images is a perk to Conley’s research because it pertains to both of his majors, which he says go hand in hand. As he becomes more proficient with technology he can improve his research, he said. Another perk to working as part of a larger team, and within the interdisciplinary IRIC building, is learning about others’ ideas. To further his research experience, Conley received a grant from the Idaho IDeA Network of Biomedical Research Excellence for summer 2017. Conley said he hopes to study arachnoid trabeculae, which resemble spider webs and are located in the same space cerebrospinal fluid is and may have a role in the fluid’s pulsation. 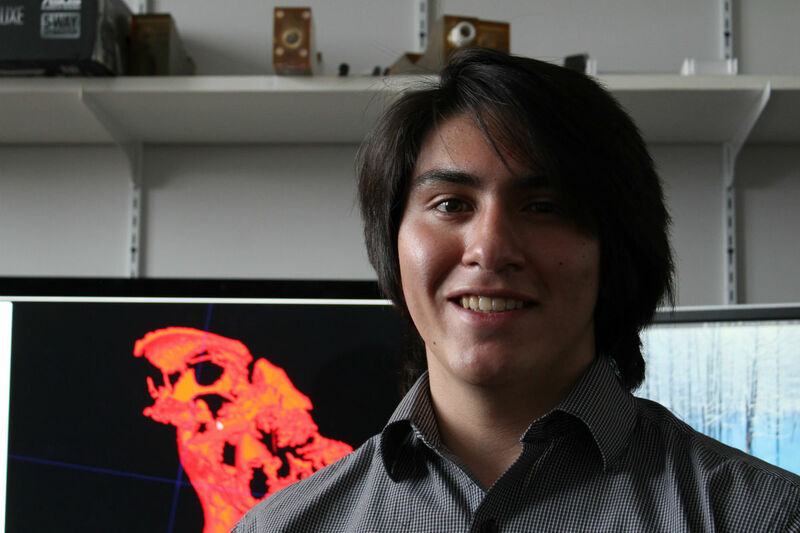 Conley also plans to present his research in Tucson, Arizona, in June 2017 at the Summer Biomechanics, Bioengineering and Biotransport Conference. Conley began his research as a first-year student at UI.